When war came in 1939, the people of the West Indies did not fail Britain. Separated by thousands of miles from the conflict in Europe though they may have been, yet for them it was not something either distant or irrelevant. They had been brought up to regard the United Kingdom as the Mother Country and in its time of need they were not wanting. Across the islands funds were raised to pay for aircraft, tanks and other military hardware; food parcels were put together and sent to blitzed towns; and valuable resources such as bauxite, petroleum, sugar, timber, rice and rubber were exported to Britain. Both men and women volunteered to protect their islands from the possibility of a German invasion – a real worry given that U-boats were patrolling the Caribbean and sinking ships. Others joined the Merchant Navy or came to work in the munitions factories of north-west England. Their Welfare Officer from the Ministry of Labour and National Service was the famed West Indian cricketer, Learie Constantine, later Baron Constantine. Yet more men joined the Royal Air Force after it introduced the Overseas Recruiting Scheme in 1940. This brought in several hundred aircrew, including pilots. 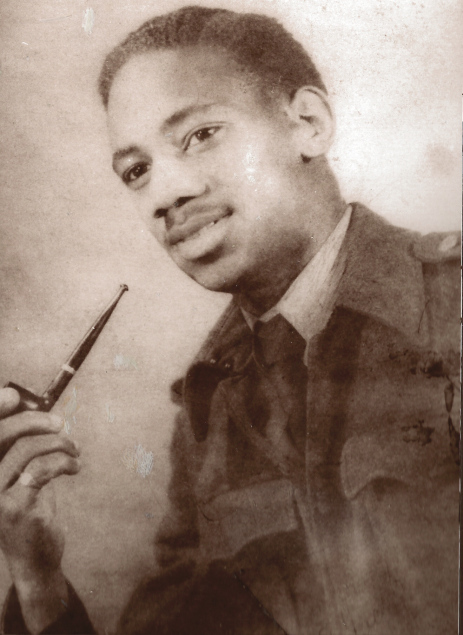 Then between 1943 and 9145 the RAF recruited 5,500 West Indians specifically for ground crew duties in the UK. An Air Ministry Confidential Order from June 1944 intimated that these patriotic men faced some racial discrimination. It stated that all ranks had to clearly understand ‘that there is no colour bar in the Royal Air Force’. The volunteers from the West Indies ‘feel a close tie with the Mother Country and the mainspring of their desire to serve is a strong sense of loyalty. Any instance of discrimination by white servicemen or others ‘should be immediately and severely checked’. After the war these RAF men were demobbed and returned home, but by 1947 some had made the journey back to Britain. Eighteen months before the ‘Empire Windrush’ was to dock at London with almost 500 men and women coming to help rebuild the country, these men were the pioneers of the West Indian settlement in Britain. Amongst them was Prince Albert Jacob, known as Jake. This is his story. I was born in Trinidad, the calypso country in 1925. My father was a headmaster and I had fourteen brothers and sisters. We were fortunate enough in a sense with our father as a headmaster but now I realise what poverty is like. In actual fact that was poverty when you look today to see what goes on and what people in this country moan about. I think to myself, ‘you don’t know you’re born’. We should be grateful in this country and thank God for what we’ve got. When he was seventeen and a half I joined the Royal Air Force. There were quite a lot of us from the islands, Jamaica, Grenada, St Vincent, Barbados and all the other islands who joined and we went to Jamaica first. From there we went to Camp Patrick Henry in Virginia in America and did our training there. This was where for the first time we really saw discrimination. The attitude was ‘if you’re black you stay back’. You’d get on a bus and there was big notice saying ‘blacks sit there’ and that’s where you’d sit. But fortunately for we West Indians we were British. In America they called us British flyers and more or less the British told the American Government in no uncertain manner that Britain had not got a colour bar and we were equal. Fortunately for us we got what we deserved. We sat where we liked, although a lot of people didn’t like it but so what? We got by and things were a bit easier and anyway we didn’t stay in America that long. Then we went to Canada and afterwards ended up in England. We landed at Liverpool and were divided up and went to various camps. The reception we had was such that people looked at us in the uniform and wondered whether they should say hello to us, thank us for coming, or ask us what we were doing there. We had the good side of it and the bad side. I personally put it down to one thing, education. But we’ve had a pretty tough time. I can remember when I was stationed in Carlisle and we went to a Christmas Eve dance and men from the British Navy came in there. And there was about ten of us. A fight started and the police came and took us straight to prison. It was for our security as otherwise we could have been killed. And we spent Christmas Eve in prison. As time went on, though, things became better and I would say a lot of things have improved. When I left the RAF I went back home to the West Indies and I worked for the Government in the Prison Office in Trinidad. I thought I had the necessary experience being in the Air Force and would get a job in the airport but it didn’t come off. I worked in the Prison Office for a while but there was no promotion and my service was ignored, so I thought there was only one thing for this situation, get back to England. I came back to England by air in 1947. In Birmingham there was a lot of work but for a black man you couldn’t get a job unless you were willing to sweep the floor or do the lowest of the low. Then you could get a job no matter how well educated you were. So I went to the Royal Air Force Association, explained my situation and they said they would send me to the Labour Exchange where they would interview me. So they gave me the option of the Post Office, the mines, or the railway. So I took the exam, got through and because I had a choice I went to the telecommunications in the Post Office – and I must admit the harder you work the luckier you get; the harder you work the better promotion you get. And I have not regretted it at all. When I was looking for accommodation in Birmingham, especially in the Bristol Road area, there were notices on some of the buildings ‘No blacks, no dogs, no Irish’. People had forgotten we had served and we had a British training. I put it down to ignorance. I bear no malice. But the Jewish population of Birmingham was fantastic to us. The names I can remember like the Roses and others were fantastic. I’m not saying there isn’t discrimination today but the discrimination then was more blatant. It was nothing for someone to call you a black b. . . or worse. It was a lack of education. They didn’t know enough about the colonies. But nothing is straightforward and everything is hard to get. I often say to me wife, Mary, if it wasn’t for the British a lot of our athletes, our singers, our band leaders, they couldn’t have got on because of the poverty. Thank God we had British people come to the islands and help us. Anyway so when I came to Birmingham we all lived in the Causeway Green Hostel in Oldbury. There was always trouble in that hostel. There were a lot of Poles there and the inter-mixing with us West Indians was not good at all. There were always fights. There was only one person who could come as an ambassador and stop the fighting and get us to sit and talk and that was Andy Hamilton, the jazz musician. Andy was a brother, a fantastic guy. If there was trouble, Andy’s music solved the problem. We later formed a Trinidad and Tobago Association and I was the chairman. 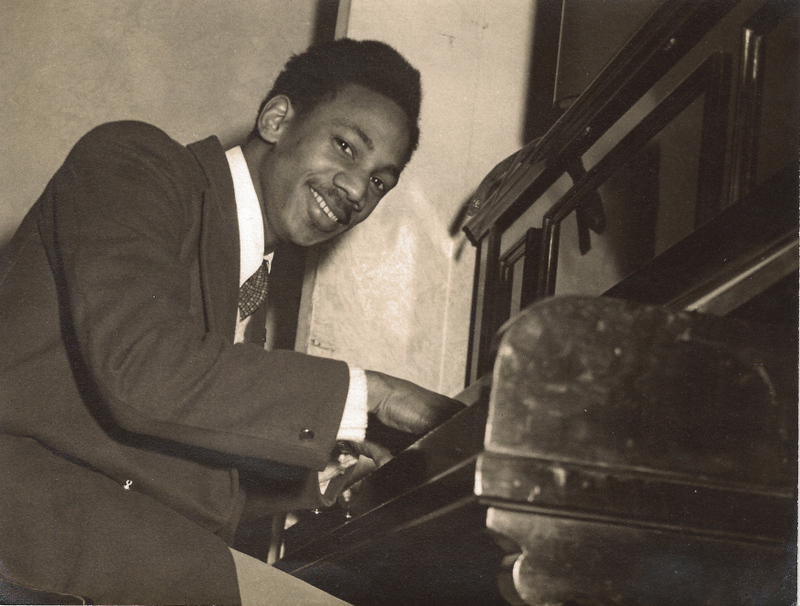 At our dances we always used to ask Ron Daley (better known as Sam Brown, the wonderful pianist with Andy Hamilton and the Blue Notes) to play. And Carl, that’s how I met your uncle, Johnny Brown and your Auntie Vi. What a surprise. Wonderful people and Andy Hamilton thought a lot of them. Looking back, though, I have no regrets. No regrets at all. It made me a better man and made me think more. Today I think before I act.